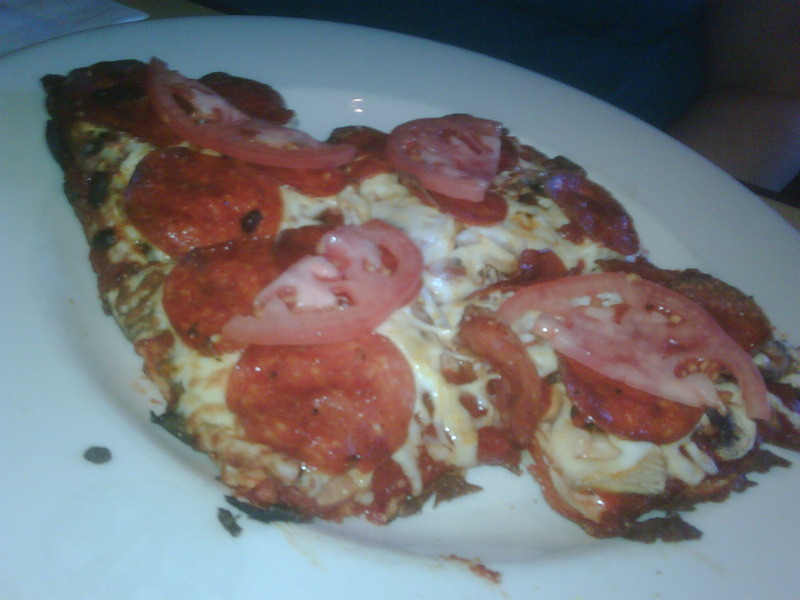 Currently South Edmonton Common location of Boston Pizza is piloting an individual-sized square-crust pizza dough. It's most likely the Kinnikinnick gluten free crust. NO surcharge for ordering gluten free crust! Boston Pizza's chicken wings are gluten free. 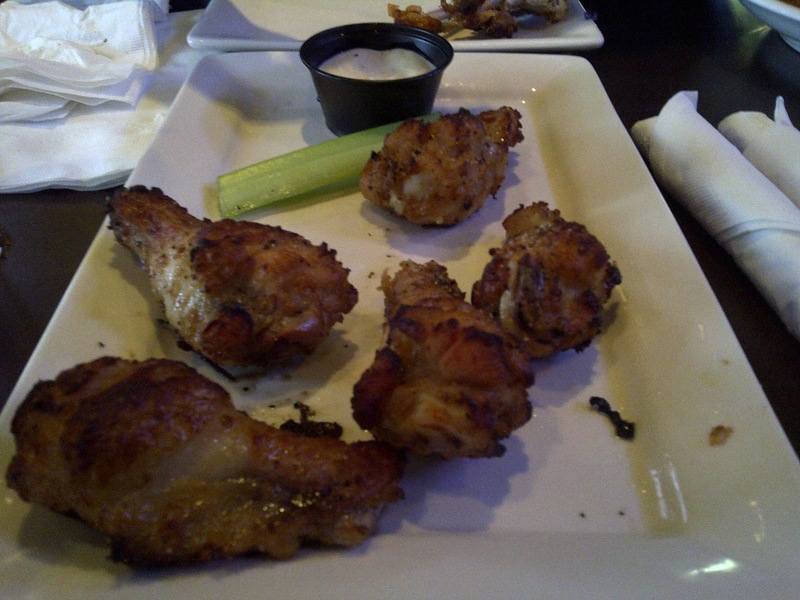 The deep fried version share same fryer as breaded items, however, you can order the oven baked wings. The chipolte BBQ and teriyaki are NOT gluten free. All other sauces have not been confirmed. 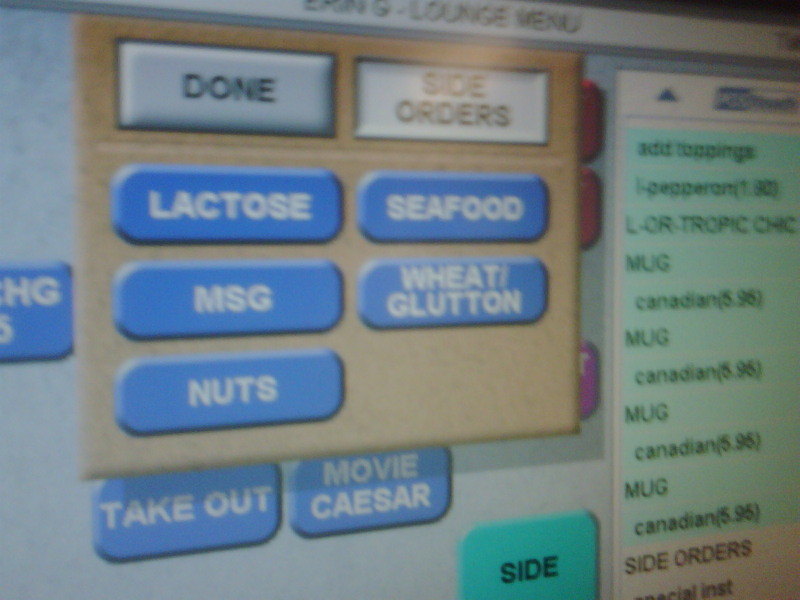 The following quote is direct from Matthew Hoag, and coincides with the picture I took of a wait staff kiosk "We are treating orders for gluten free pizza the same as allergies and is included in our allergy aware manual. There is a note sent to the kitchen when an order is place for any allergy or gluten free dough request and there is training that requires staff to wash hands, use clean cutting board and utensil and knives, etc. A fresh piece of parchment paper is used to line the pizza pan for each gluten free crust that is ordered." 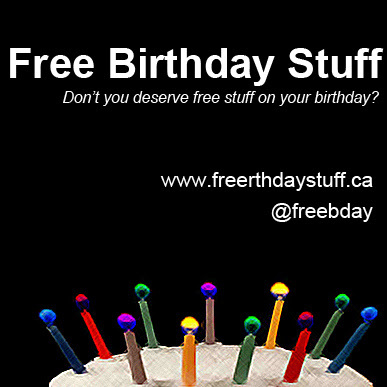 You can also contact Boston Pizza Head Office for more information at 604-270-1108. 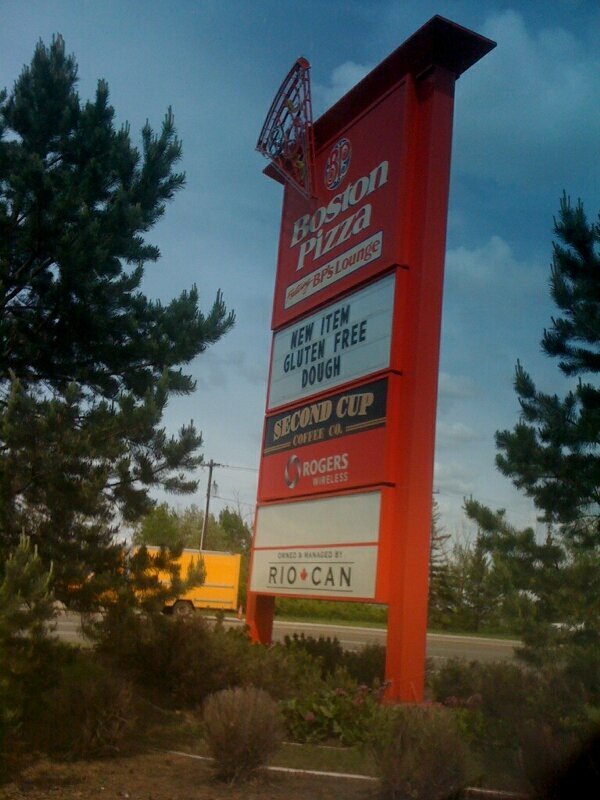 Most chain restaurants do take allergies quite seriously, and I believe Boston Pizza will be equally professional. 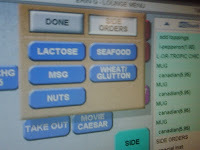 When ordering the pizza, be sure to mention you have Celiac's and have a wheat and gluten allergy. Wait staff's comptuers can let the kitchen know of an allergy so all necessary precautions are taken, including clean cutting boards, utensils etc. Always ask questions, and in any situation do not order if you are skeptic and think there is not enough understanding of your needs. 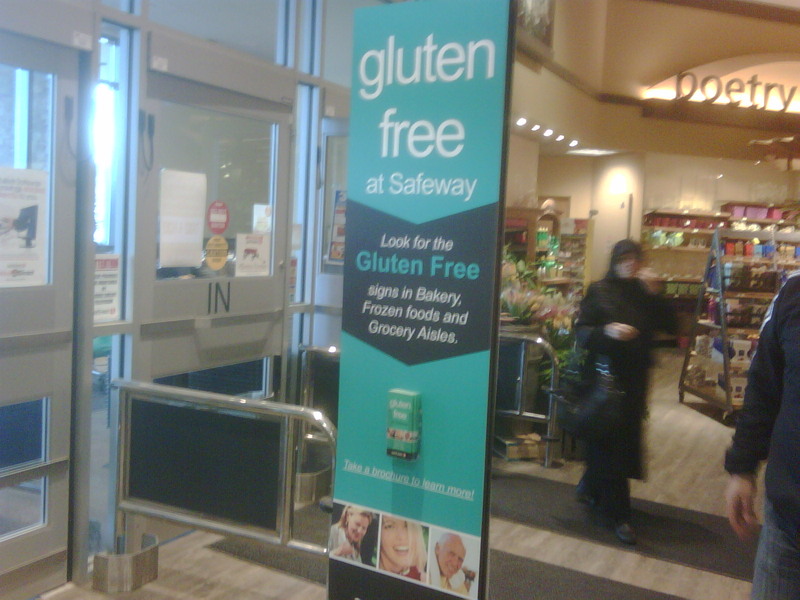 What aisle do you go down to find your gluten free products when shopping in Edmonton?? 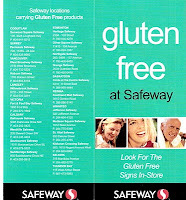 Now that we have been gluten free for over 6 months, we have gotten used to shopping for gluten free products at stores. Typically we knew to go into any grocery store, and find the 'organic' aisle and presto! all gluten free products found in one aisle. Alternatively, you could walk into Planet Organic and find gluten free items spread out through the store, or Kinnikinnick, where you can shop like normal and just pick anything you want off the shelf. But has anyone noticed the changes being made in some of the grocery stores? 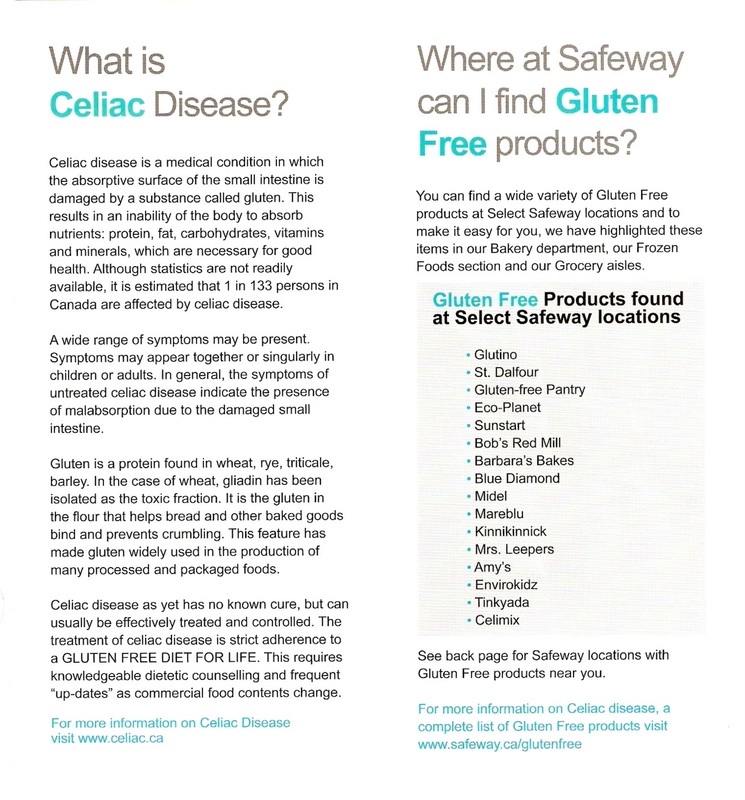 Because Celiac disease and gluten free is more common knowledge now, grocery stores are integrated gluten free products into all aisles. We don't know what to think of that. 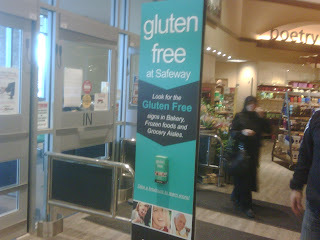 On one hand, we loved being able to find all our gluten free brands and products down one aisle. On the other hand, its great to shop "normally" down the pasta aisle or the snack aisle, and not have to go down a "special aisle". 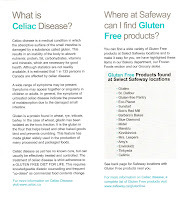 Take note, currently Safeway (Callingwood), Sobey's (Lessard), and Save-on-Foods (Hampton's), spread the gluten free products down all aisles, while Superstores west and south; Safeway (Oliver square) and Save-on-Foods (Jasper & 109 st.) have kept the 'special' organic aisle for gluten free products. So how would you prefer to shop? Do you want to walk down the one 'special' organic aisle, or walk through all the aisles to find your gluten free products. OPM is great Asian Bistro with a gluten free menu. Try some apps such as lettuce wraps or chicken wings. Excellent Curry, Noodle and Rice dishes such as Singapore Street Noodle and Bangkok Chicken Curry. Also try a wide selection of other Chicken, Seafood, Beef, or Pork dishes all off a special gluten free menu! Click here to check out OPM's gluten free menu. My favourite gluten free menu item is the Singapore Street Noodle! Whats your favourite gluten free OPM dish? 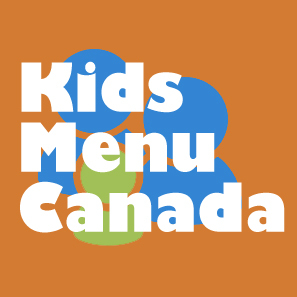 Click here to check out other gluten free friendly restaurants. 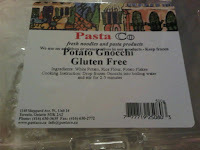 Simply put, this gluten free product is gnocchi for Celiac's! Aurora is a popular italian foods brand that makes a wide variety of noodles and sauces. I was pleased to find this rice gnocchi in the pasta noodle aisle at the South Side Italian Centre in Edmonton. I have had it once, and it is no different then regular Gnocchi. Just look out for the carb content, as rice tends to have more carbs, so this can add up quickly for any diabetics. Share your favour gnocchi recipe with us and we will post it to the recipes! 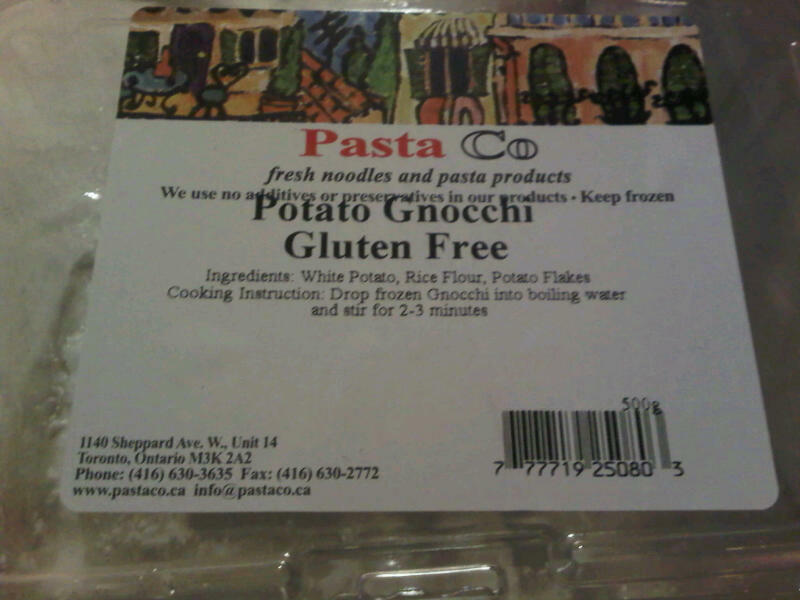 NOTE: As per Aurora foods comment below, the Rice Gnocchi is made in a facility that contains gluten. Visiting the University of Alberta Hospital? 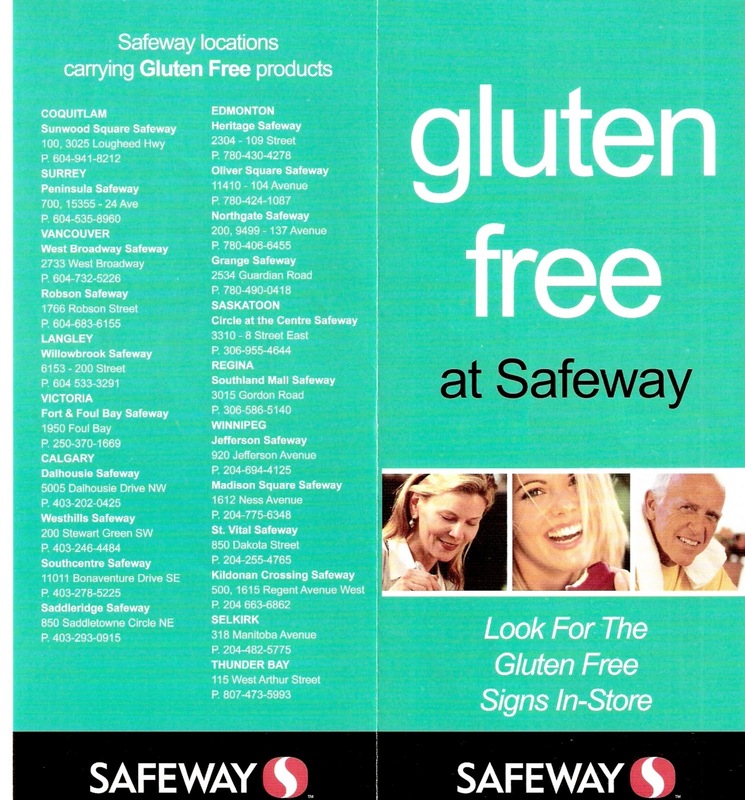 You can eat Gluten Free there too! If you are ever visiting the University of Alberta Hospital, do not count out a gluten free meal! The University of Alberta Hospital is committed to healthy eating and are able to accommodate several dietary restrictions such as gluten free for Celiac's. The University of Alberta Hospital cafeteria is able to make an amazing personal size gluten free pizza. After several servings, we just had to ask how they made their crust. To our delight we found out they used a Kinnikinnick pizza crust and showed us the box. We obviously ran directly to the Kinnikinnick store here in Edmonton and purchased personal sized pizza crusts. They had the pizza crust with care, and put the pizza through the over will added layers of protection under the pizza to avoid contamination. I think this pizza is only available during the day and you may have to speak with the catering manager to order it. It is priced the same as a gourmet pizza. If you know you will be visiting the hospital, it is recommended ordering 24 hours in advance! If you are visiting and have not ordered in advance, and are informed that they are not able to accomodate, I would recommend speaking with the on duty catering manager. Let us know if you have tried the pizza here and what you thought of their combinations!